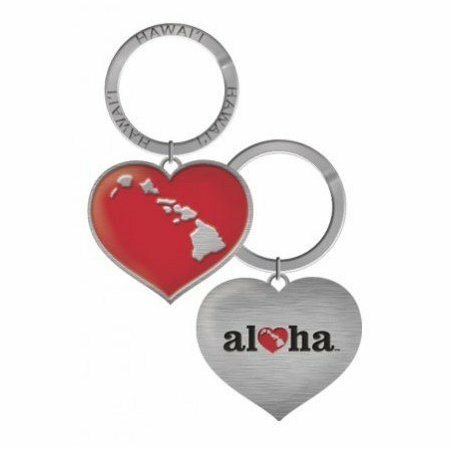 This adorable Heart of Hawaii Heart Metal Keychain is the perfect sourvenir from the islands. The brushed metal on one side helps accentuate it's design, while the red color on the other side is an eye catcher. Keychain measures approximately 1-5/8" x 1-3/8".